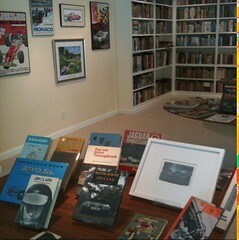 I'm spending the afternoon helping out in Darren Winston's wonderful book shop so he can take his kids to Lime Rock. Stop by and say hi -- I'm here til 4. Unfortunately I won't get to the Soapbox Derby though. What's Lime Rock????? Cool title of something.